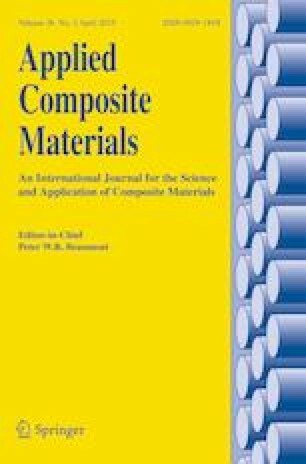 The dynamic response of freestanding carbon fiber reinforced composite sandwich plates with square honeycomb cores of different relative densities subjected to water blast is investigated by numerical simulations. 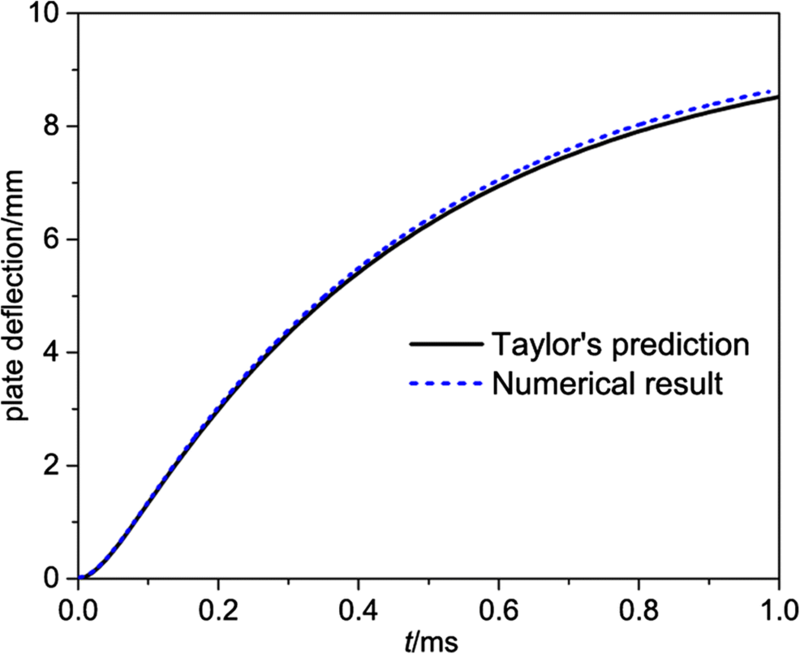 The constitutive models are validated by quasi-static compression response comparisons of numerical simulations and theoretical calculations. The deformation process, core compression and momentum transmitting characteristics are analyzed and the regulations of the core compression and momentum transmitting for sandwich plates with different core relative densities are revealed. Dynamic response and protection property of composite sandwich plates and mass-equal laminate plates are compared, which indicates that the composite sandwich plates can provide superior protection from water blast than laminate plates. This research was supported by Postgraduate Research & Practice Innovation Program of Jiangsu Province (grant number. KYCX18_0474) and China Scholarship Council and we are grateful for access to the University of Nottingham High Performance Computing Facility. 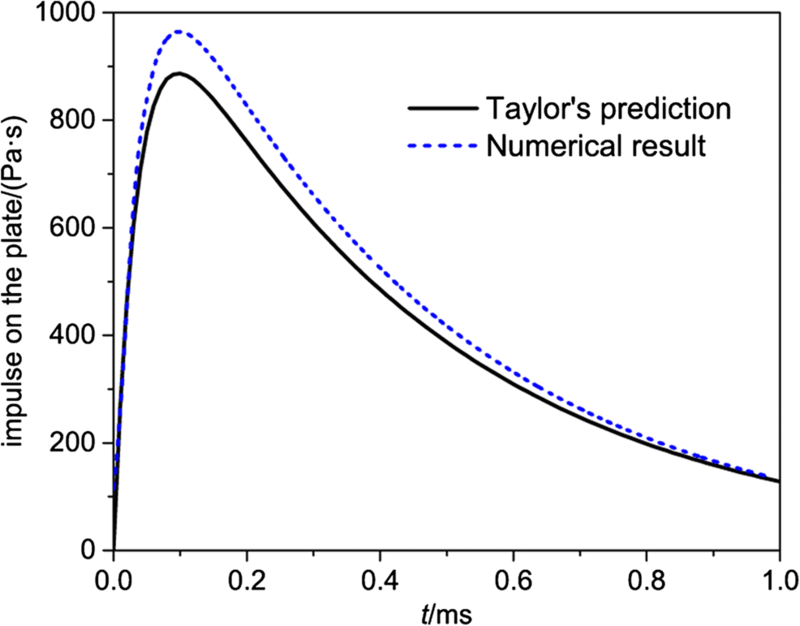 The fluid structure interaction in the numerical model was verified based on Taylor’s freestanding solid plate problem . The numerical model of a 6.35 mm thick steel plate subjected to a water blast of peak pressure p0 = 15.4 MPa and decay constant θ = 0.435 ms was established. The mesh and FSI setups are all identical to that used for the carbon fiber reinforced sandwich plate problems in our research. Figures 15 and 16 shows the comparison of the impulse on the plate and deflection of the plate versus time between Taylor’s solution and the numerical result, respectively. It can be seen that the numerical result agrees well with Taylor’s prediction, which can provide that the numerical method used in our research can accurately solve the fluid structure interaction problems.